How long have you had your savings account? If you’re like the majority of Americans, you’ve had it for as long as you can remember, and probably only chose it because it was the same bank as your checking account. Yet, as competition increases between providers, customers can often benefit from sweet bonuses for switching. If you're stuck with a miserable interest rate, chances are your savings account is barely working your money any harder than a regular checking account. It’s easy to put the cash aside and forget to check how much it’s earning you, but you could be throwing money away by not doing so. It’s a good idea to check that your current bank won’t charge any severance fees, although some joining bonuses run into hundreds of dollars and often outweigh any such costs (if they do exist at all). Bank savings account promotions can be found here, so you can check the latest offers on the market. Many customers also put up with lousy customer service or haven’t thought about new benefits such as great mobile apps with other banks, and so looking into what’s available is well worth it. According to financial site ValuePenguin, as many as 27.3% of Americans don’t have a savings account. If you can put even a small amount of your monthly earnings away, you’ll be surprised at how quickly your nest egg can build up. The U.S. Census Bureau states that in 2013 the average family income in 2014 was $73,298. If even 5% of that were put into a savings account, there’d be almost $4,000 tucked away each year, which could easily create a comfortable cushion to fall back on in emergencies. This makes planning for the future that much easier, too. Many families could afford to put aside much more than that, and the cumulative effect will begin to make your savings snowball into ever-increasingly large figures. Hey, you may find watching your money grow quite fun! Thankfully, switching savings accounts is often a lot simpler than doing so with a checking account, because you’ll very likely only have money going into it. 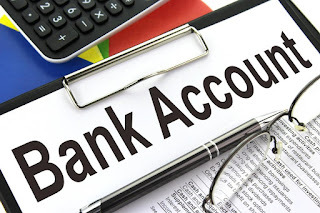 Direct deposits and automatic bill payments don’t usually come out of savings accounts, so the only thing to bear in mind will be changing the details for any automatic payments that go into the account. Many banks make the process seamless though, so be sure to ask if any switching can be done for you. In any case, the combined benefit of a cash bonus and better savings rate can make switching well worth it in the long run. Thankfully, switching can usually be all done online or over the phone, so you won’t even need to leave the house to start increasing your savings power. When it comes to something as important as personal finance, it’s important not to be ignorant of what’s available and to check what benefits you could be eligible for, to be sure your money is working hard for you.